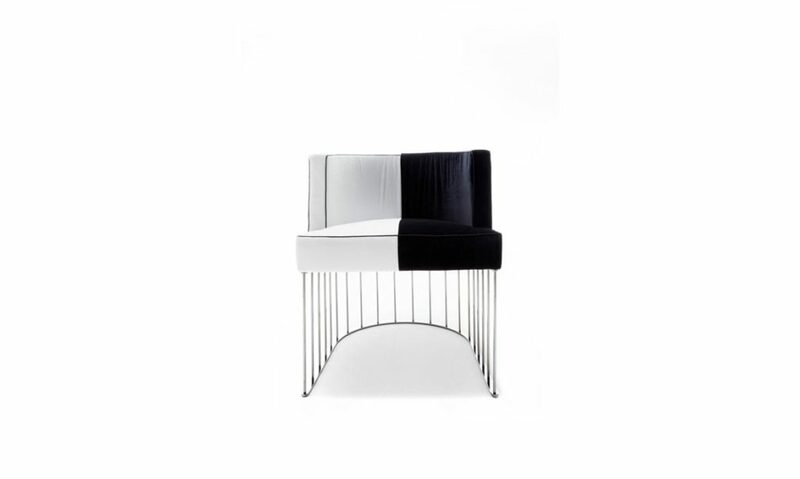 The folded metal frame gives a softness and lightness to the 2 and 3 seater sofa. 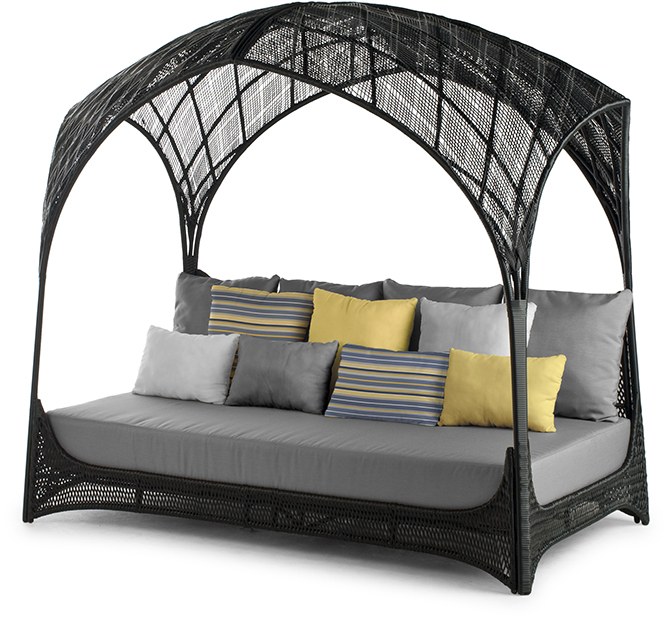 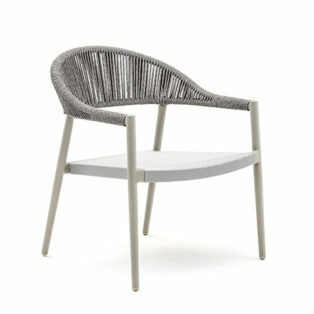 The soft cushions are embraced by the wooden arms that warm and make the elegant metal frame pleasant to the touch. 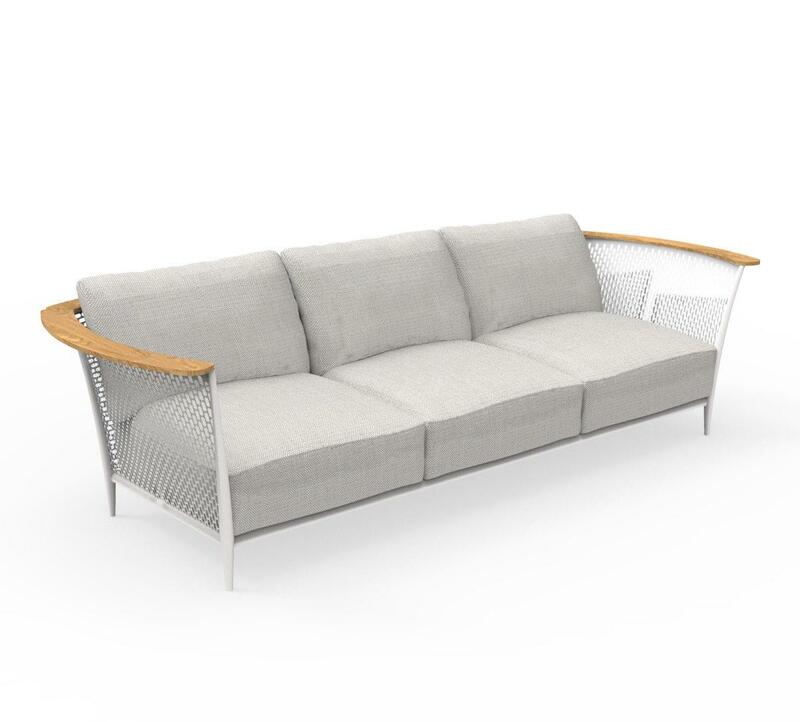 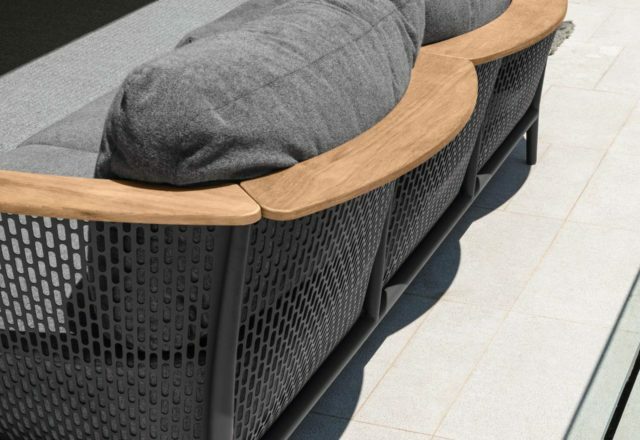 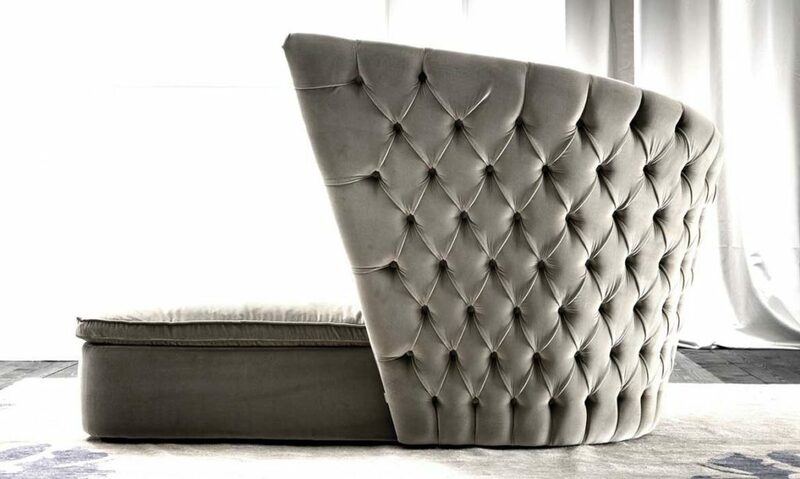 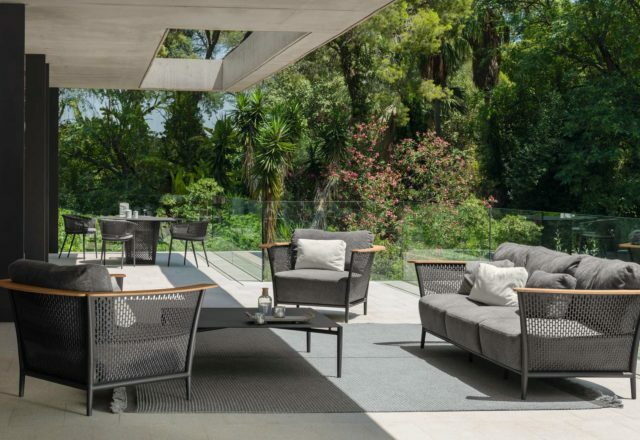 The elegant line of the sofa, with attention to detail, makes this furniture the right piece for any outdoor space.